Laparoscopic surgery is a surgical technique that introduces a high definition camera and instruments into the abdomen through two or three incisions each less than a centimeter in size. The portion of the bowel to be resected can be freed of its attachments and separated from the rest of the intestinal tract. A small incision is required to retrieve the resected bowel from the abdomen and to allow reconnection of the two remaining ends. This small incision is often placed just above the pubis (the bikini line) to make it even less noticeable. There is less cutting of the abdominal wall so the incisions are less painful and patients tend to recover quicker; scars are smaller and less noticeable. Because there is less manipulation of the bowel, many patients recover their bowel function more quickly after laparoscopic surgery, resulting in the ability to tolerate food sooner after surgery, permitting earlier release from the hospital. 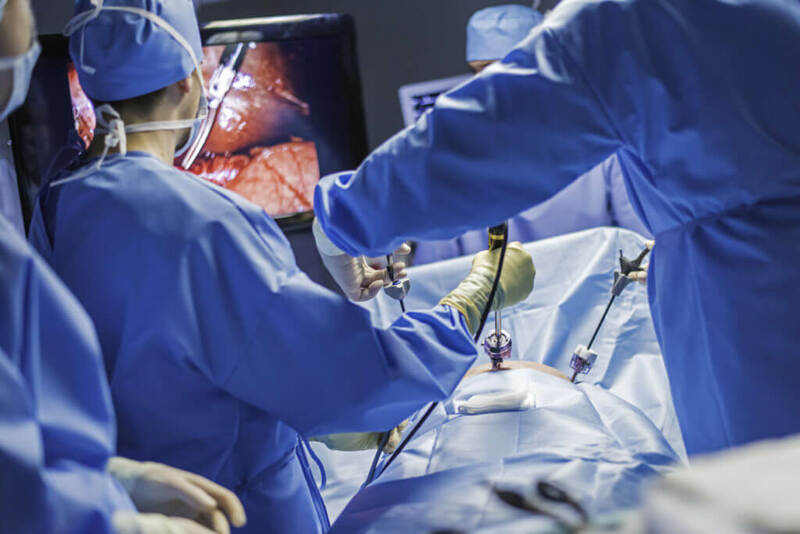 Studies show that patients who have had laparoscopic surgery are discharged from the hospital one to two days faster than those having an open abdominal colon surgery. Patients with a variety of colon conditions are candidates to have their surgery laparoscopically, including patients with diverticular disease, colon polyps, colon cancer, Crohn’s disease and some with ulcerative colitis. Additionally, some patients with severe constipation who need a colectomy can have this done laparoscopically.